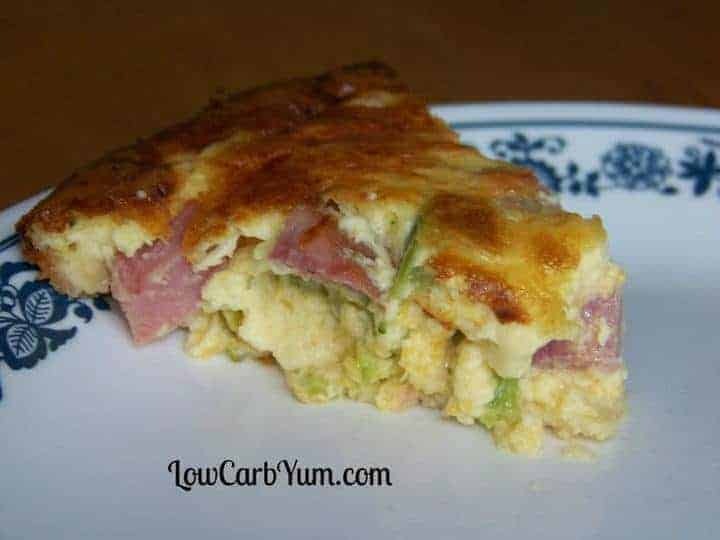 A low carb ham and broccoli quiche with cheese. The gluten free crust is made with a blend of almond and coconut flours. Can be made with or without crust. I usually make my quiche without a crust to save on carbs. But this time I decided to try it with an almond and coconut flour based crust. It did give the pie a nice crisp edge at the bottom as well as an added nutty flavor. However, the crust can be omitted if you’d rather not have the extra carbs. 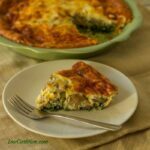 I wanted to make a simple low carb quiche for dinner. I ended up with a ham and broccoli quiche. The vegetable adds a nice color and ups the nutrition. 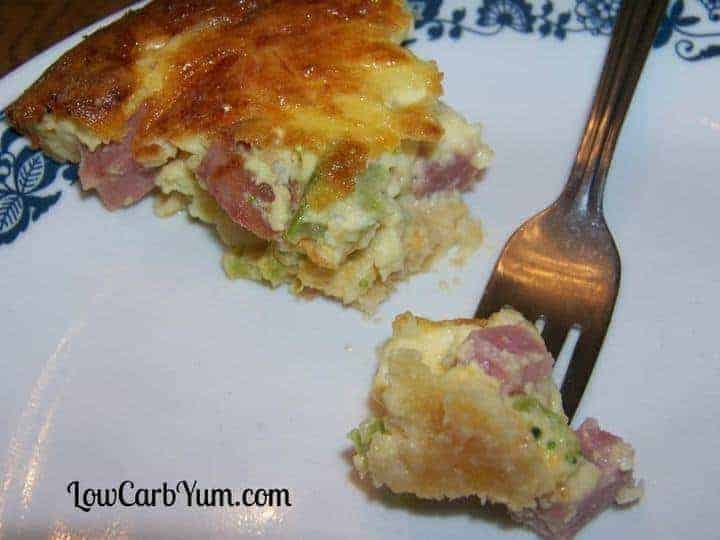 I also added a little mozzarella cheese on top of this ham and broccoli quiche to give it a nice brown color. Parmesan cheese would be another option if you don’t have any mozzarella. Or, you can simply omit the cheese topping. I often buy different specialty cheeses at our local Aldi store. 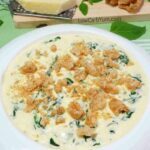 They offer many gourmet cheese varieties at prices that are hard to beat! 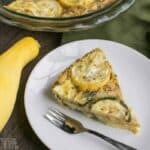 Low carb quiche is a popular dish with those who follow a keto diet. 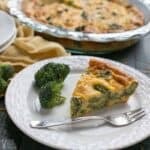 This ham and broccoli quiche will not disappoint. There’s plenty of room to customize this quiche with add-ins like mushrooms and onions. However, I preferred keeping the dish simple. 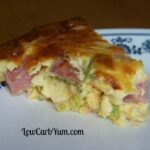 If you have some ham leftover from dinner, this low carb quiche is a terrific way to use up leftovers the next morning. 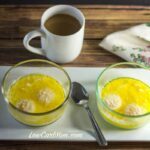 Other ideas for using up ham include my Cheesy Cauliflower Ham Casserole, Crock Pot Ham and “Potatoes”, and Spinach Cauliflower Rice Ham Casserole recipes. 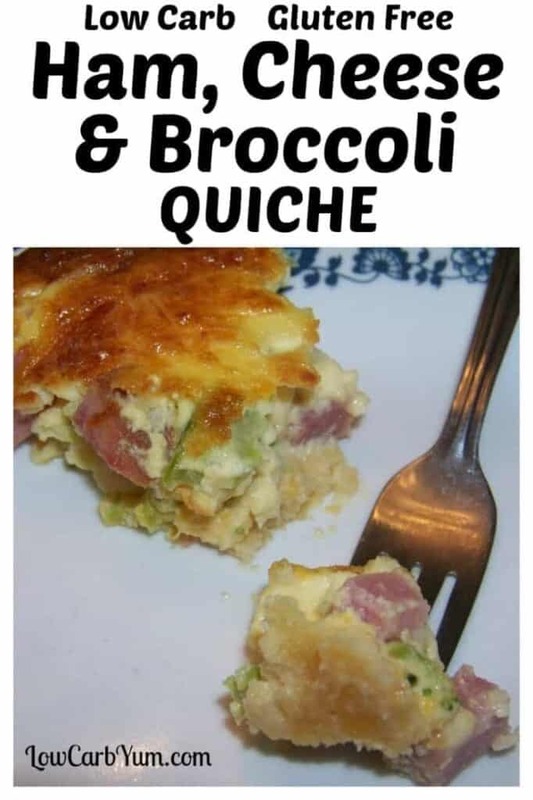 A basic low carb quiche featuring ham, cheese, and broccoli. The crust is made with a blend of almond and coconut flours. Gluten free. Combine all crust ingredients. Press into a 9-inch glass pie dish. Bake in 350 degrees F (180 C) oven for 10 minutes. Stir in ham, broccoli and cheddar cheese. Pour over crust. Sprinkle with mozzarella cheese. If you were to freeze this, would you do it before baking or after? The note you made says it has 2g net carbs a serving without crust. 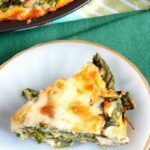 How many net carbs a serving for the actual recipe including the crust? It’s about 3g net carbs with the crust. 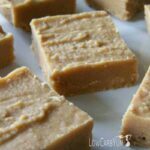 If you don’t mind the taste of coconut, you can use coconut cream or milk. Otherwise, use almond milk if you have no sensitivity to almonds. Can I use salami and bacon as a substitute? I love bacon. What if you don’t have coconut flour? Leave it out and add a bit more almond flour if needed. I have made this 3 times now and love it! 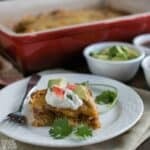 It makes for an easy breakfast or lunch. Thanks! Made this for dinner last night, and we all fought over the leftovers for breakfast! This is definitely going into the rotation! Win! Glad it was a winner! Hi Lisa, this looks incredible, healthy and nutritious. 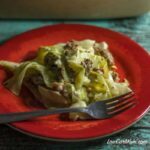 I have included it in my Best Low Carb Christmas Leftover Recipes roundup as it would be a great way to utilise all that leftover roast meat. Take care, Libby. 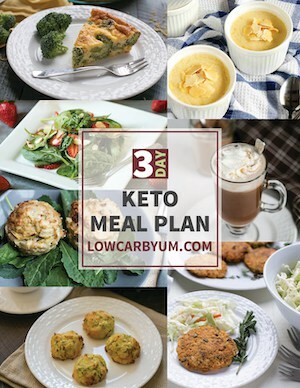 excellent recipes for low car – just switched to that kind of diet. thanks again. 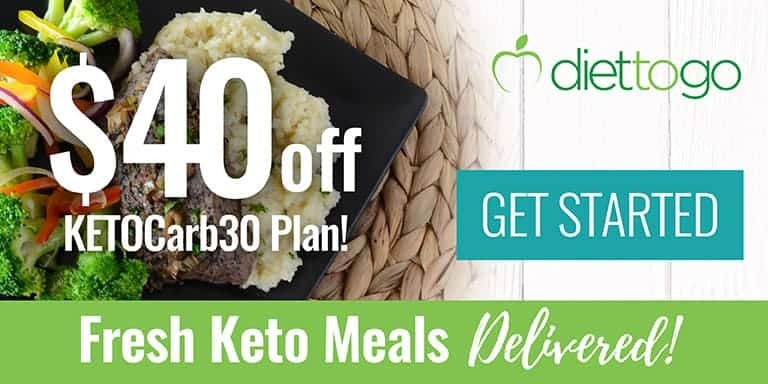 Great to have you join the low carb community! 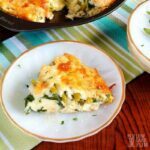 Love love quiche, thank you for this recipe. Can’t wait to try it!